A quick view of the most influential metrics in Rexburg. Rexburg, Idaho is a city of over 25,000 and is the county seat of Madison County. The city is home to Brigham Young University and the annual International Dance and Music Festival. Rexburg is also the prime city of the Rexburb, ID Micropolitan Statistical Area which encompasses both Madison and Freemont counties. Homes for sale in Rexburg range from small starter homes up to large luxury homes. In the beginning it was home to fur trappers and a few cattle operations. Mormons took and interest in the area about this same time and began settling the area in earnest. Among these first settlers was Thomas Edwin Ricks, for whom the city is named, however the city wears the German form of Ricks which is Rex. The city was incorporated in 1883 with just a few dozen residents and continued to grow and flourish. The city was severely damaged by the Teton Dam Flood of 1976, today a museum in the basement of the Rexburg Tabernacle, is dedicated to keeping the history of the event. According to the 2010 census the city had 25,484 residents spread over 7,179 households, of to of the 7,179 households 33.8% had children under the age of 18. The three largest ethnic populations in the city are 93.8% Caucasian, 5.6% Hispanic or Latino and lastly 1.7 % of mixed races. The median age of residents is 22.3 years, but largest age bracket is 18-24 year-olds with 49.2% of the total population. Homes for sale in Rexburg vary from starter homes, middle class homes and luxury homes. Apartments and other rental properties give home seekers another option beyond buying. Rexburg is primarily middle class and offers quiet streets and peaceful evenings. The city is well-known for its nine beautiful green spaces and parks. There are three pocket parks featuring playground equipment for the children and open space for free play and picnicking, the Rotary Park, Hidden Valley Park and Park Street Park. The Nature Park is a 15 acre park with beautiful trails for walking, jogging or cycling. The Clair Boyle Skate Park is, much as its name implies, set up with jumps, hills and bowls designed for use with skate boards, roller blades, skates and bikes. Rexburg retains a small town charm and quiet atmosphere despite it's size. Special events such as the Madison County Fair, the Teton Dam Marathon and Summerfest promote the warm community feelings. The youngsters of Rexburg attend at one of four public schools, Adams Elementary, Madison Middle School, Madison Junior High and Madison High School where the mascot is a bobcat. View our selection of available properties in the Rexburg area. Check out the latest demographic information available for Rexburg. 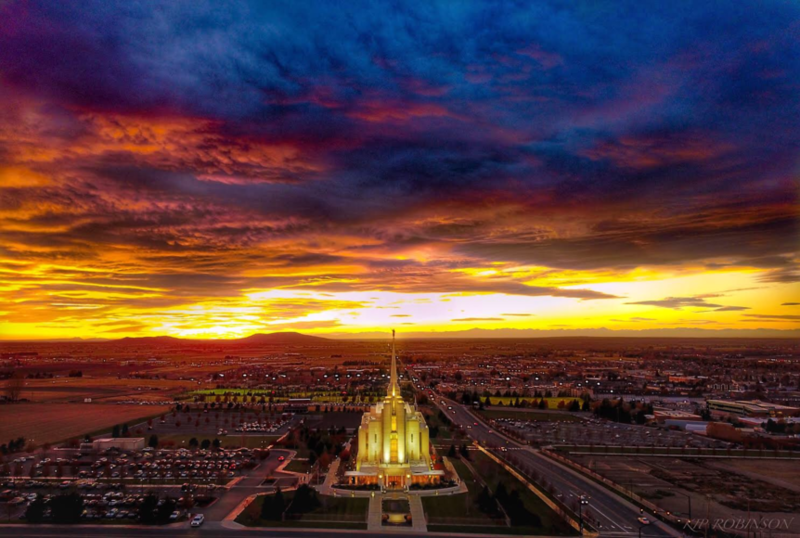 Get to know Rexburg better with our featured images and videos. Browse through the top rated businesses in the most popular categories Rexburg has to offer.